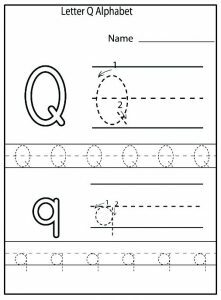 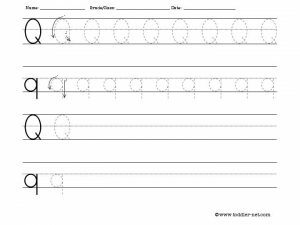 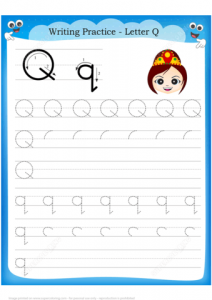 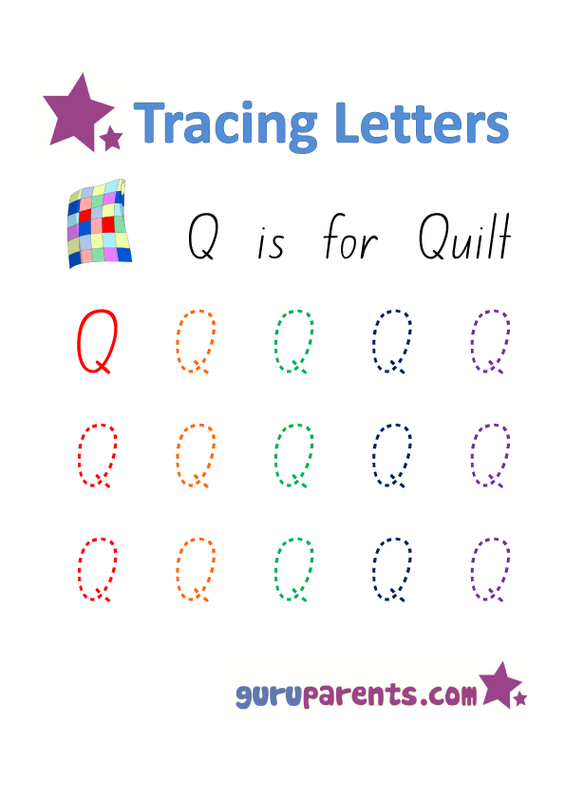 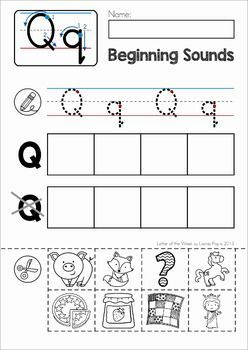 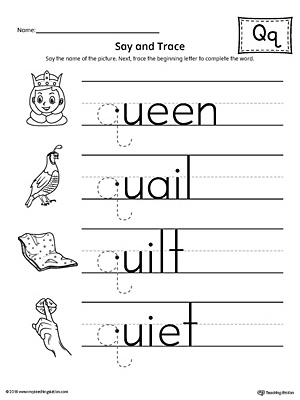 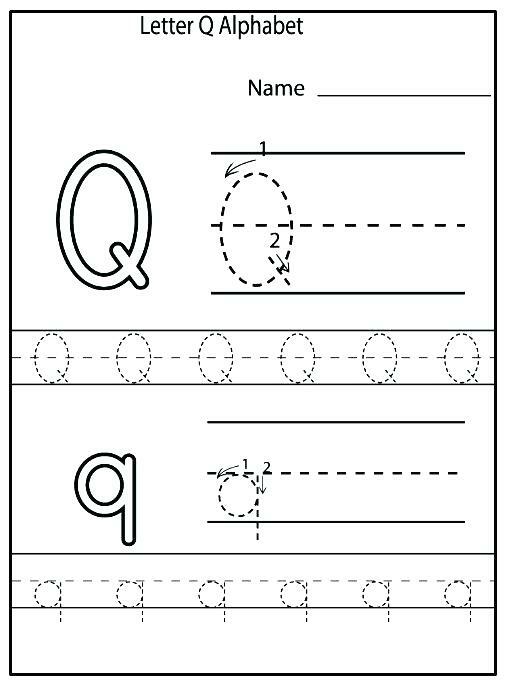 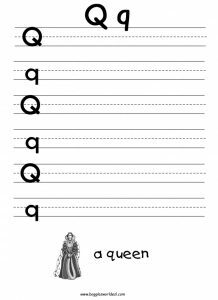 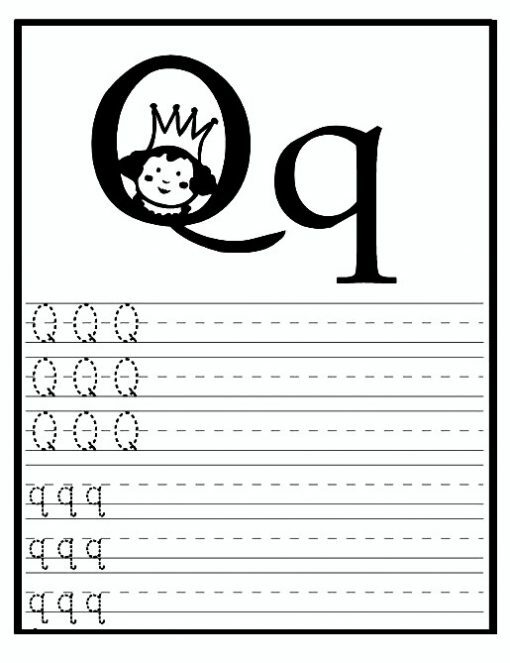 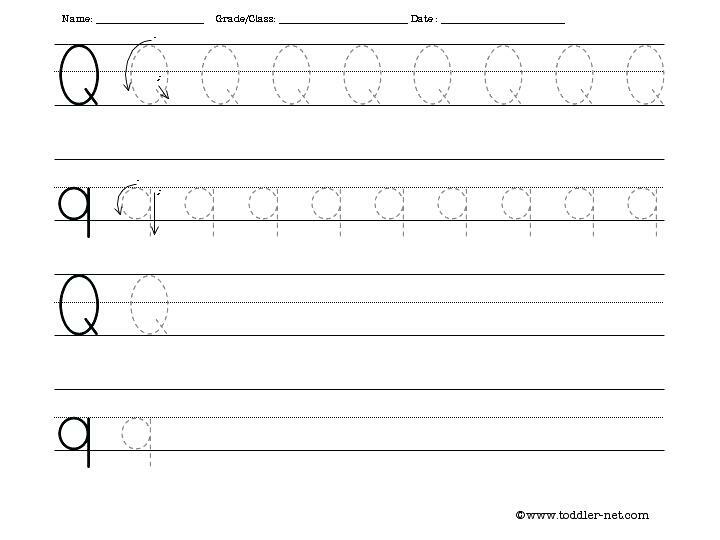 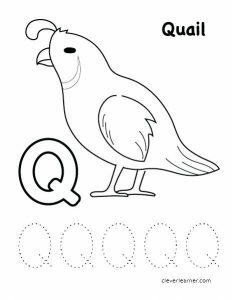 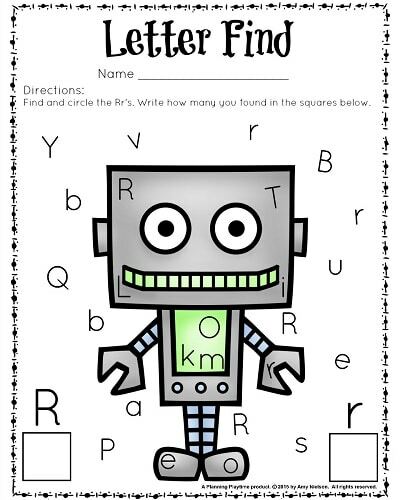 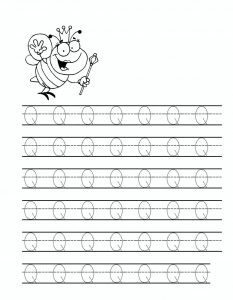 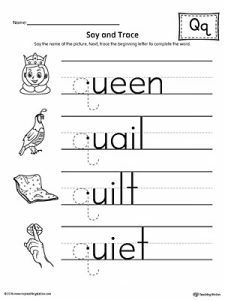 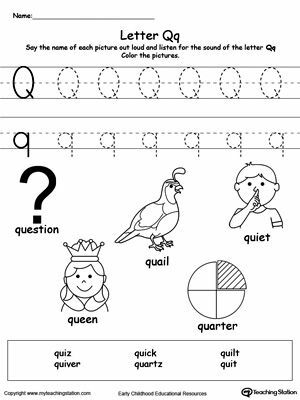 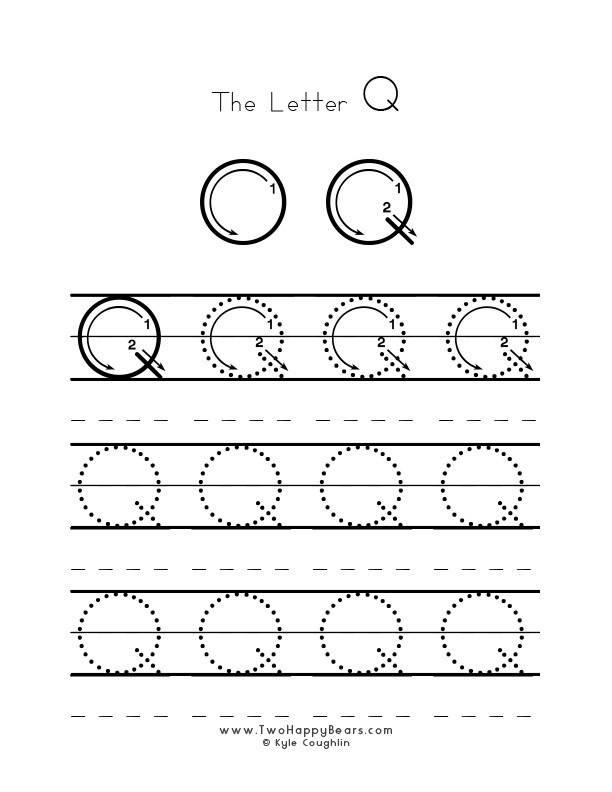 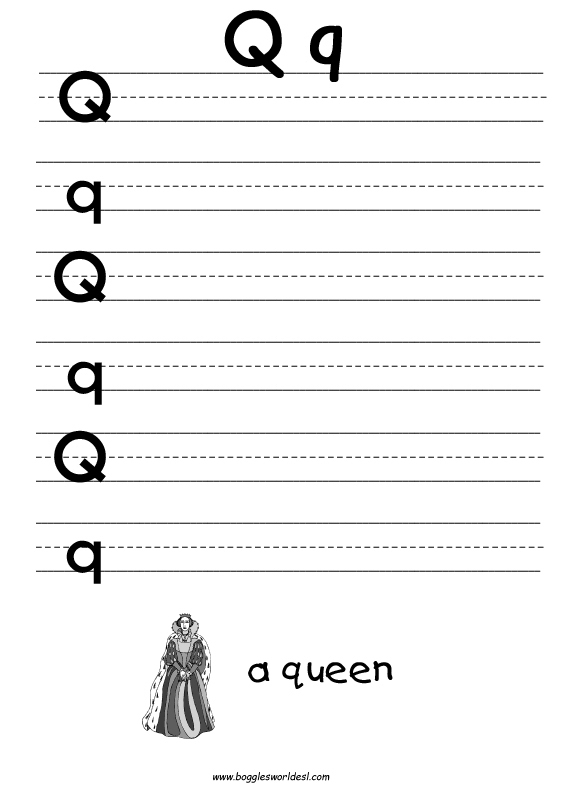 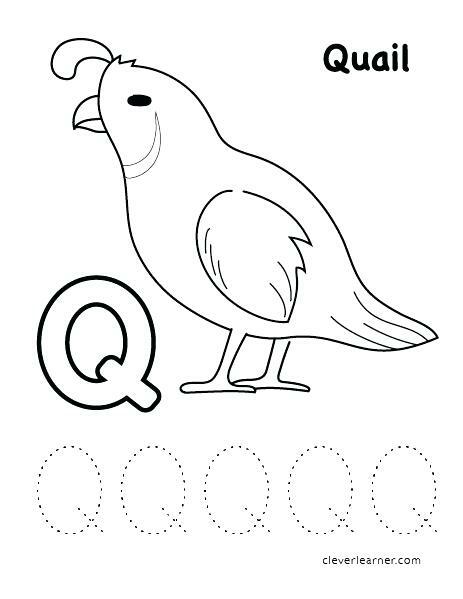 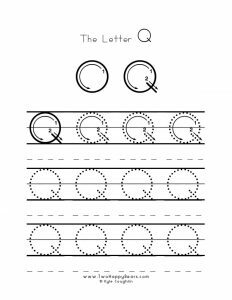 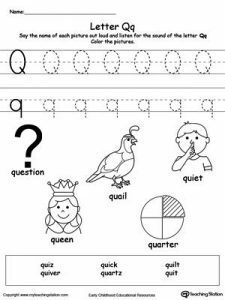 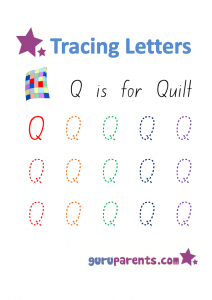 Letter q worksheets would be a fun pick for your kiddo. 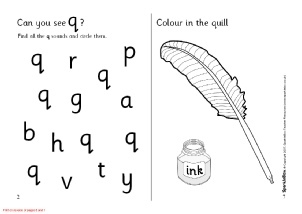 Get them acquainted to the 17th letter of the English alphabets by getting them to solve the worksheets. 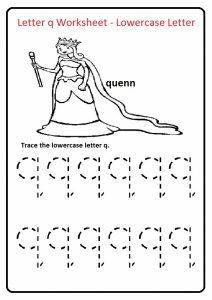 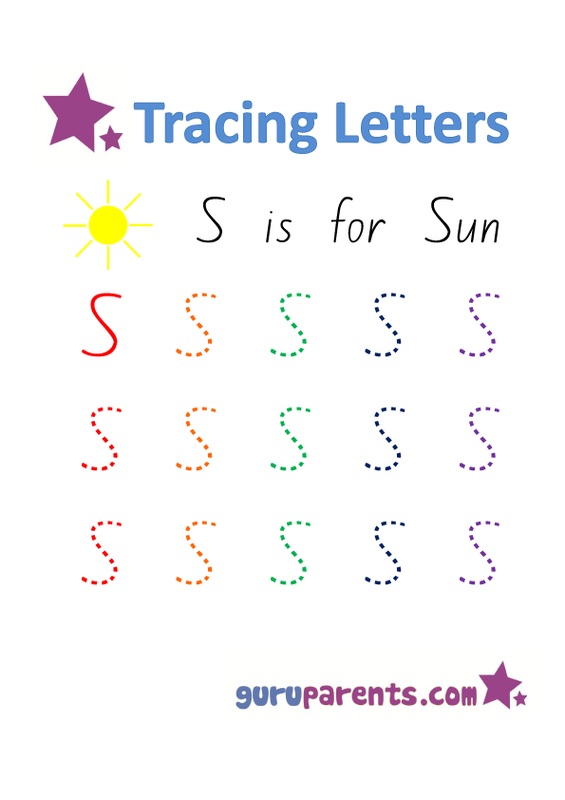 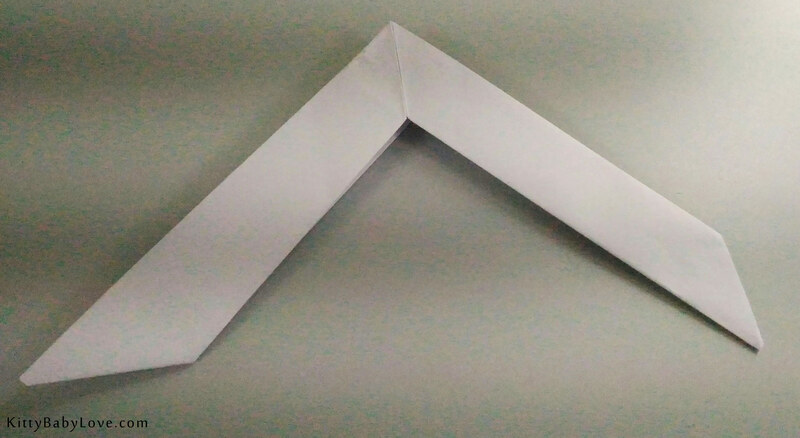 The exercises mainly deal with tracing, finding the letter, cutting and pasting the letter and completing the shape of the letter. 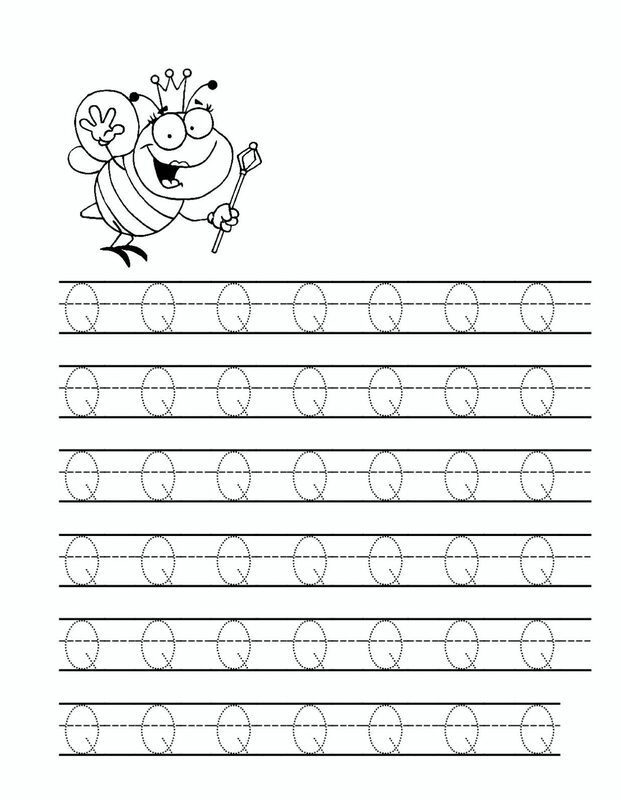 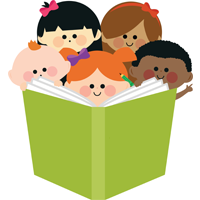 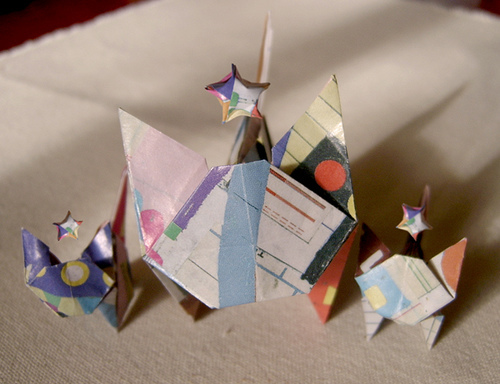 Preschoolers, pre-K and kindergarten toddlers would find the free sheets exciting. 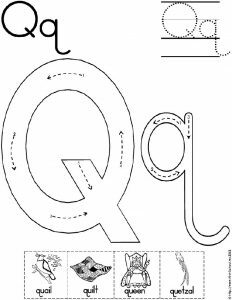 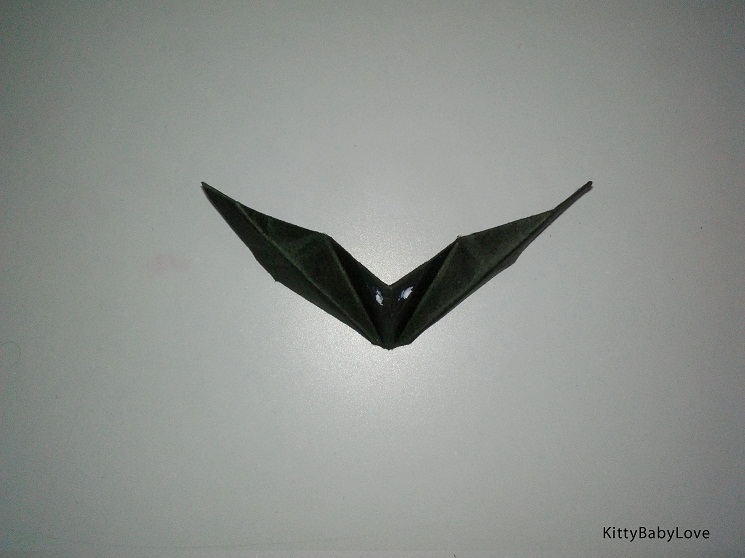 The images of the animals and objects with their names starting with the letter q would add to the fun while at the same time paving the way for learning new words. 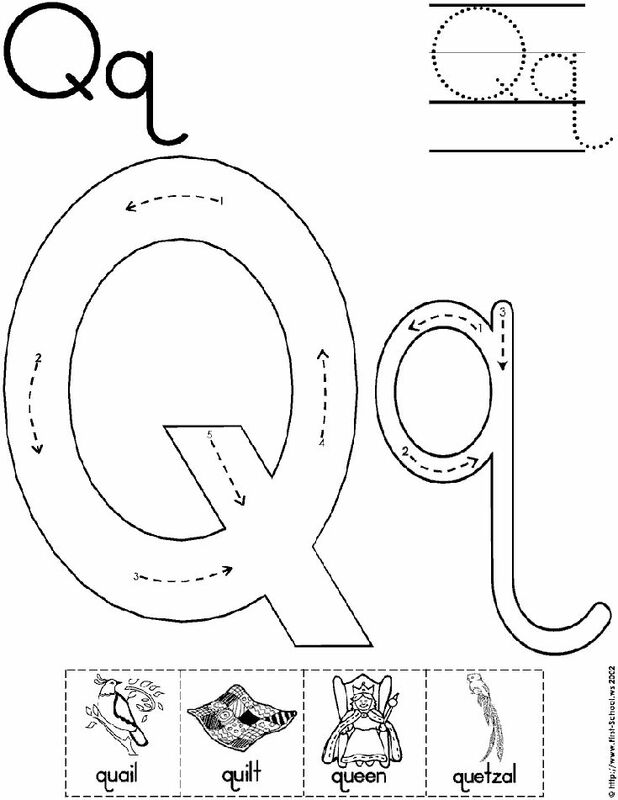 Both the capital and small letter q need little ones to get their round shape correct. 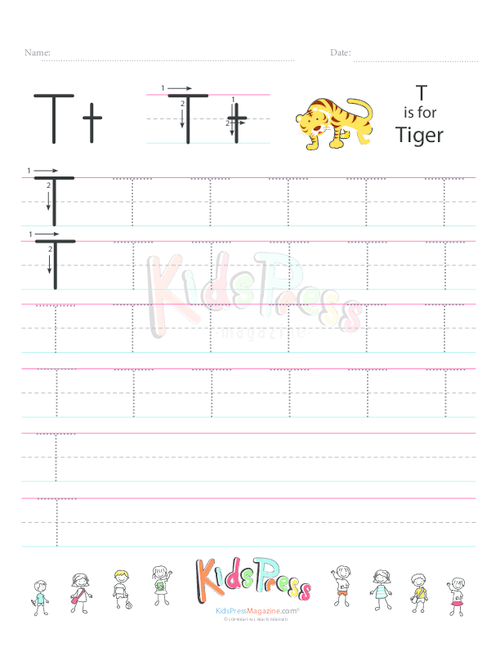 The ruled lines give them ample scope to improve their handwriting. 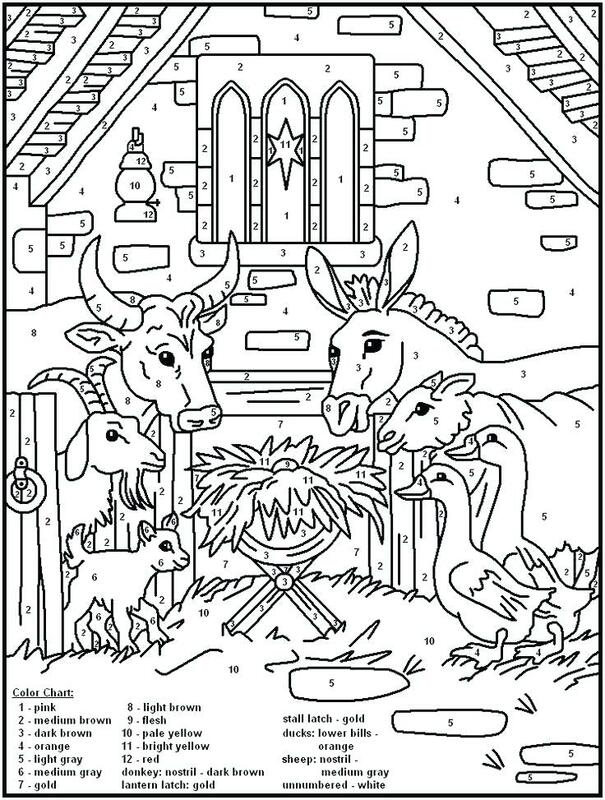 They can color the pictures on the pages once they are done with the worksheets.